If you travel a lot between time and space then you know that you will get thirsty and for that reason there now is this Doctor Who travel cup with straw. Of course to make the Doctor feel at home they made this cup Tardis blue and even has the print on it to make it look like a police box. This acrylic cup can hold up to 18 ounce of liquid and unfortunately it is not bigger on the inside. The Doctor Who Tardis cup is acrylic and BPA free and is double walled to prevent condensation and to keep your drink on the right temperature just a little bit longer. So if you are looking for a nice glass to travel with then you are in luck. This Tardis glass is not made from glass so will not break that easy and keeps better to. Get thirsty and enjoy a drink out of this Doctor Who Tardis Cup With Straw. Doctor Who fans looking for the perfect dress to wear are in luck as this Tardis dress will make people understand you a little bit better. The dress has the Union Jack flag as background for the front and the back making it look like you are wearing the flag of England but then there is a blue box on the front that we all know and love as the Tardis from the Doctor. The Tardis takes up most space of the front and really comes out nicely. The Tardis dress does not have any sleeves making it the perfect dress for summer. You can get this Doctor Who dress in sizes X-Small to X-Large. 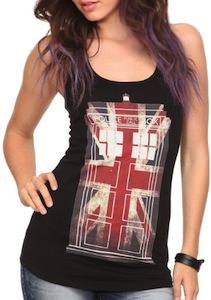 So if you are wanting a new Doctor Who item in your closet then you to see this Tardis Union Jack Dress. It does not really matter what kind of iPhone or iPod Touch you have because this Doctor Who case is available for many models. See the Tardis and the 10th Doctor in the mist all on this amazing phone case. The phone case is made from hard plastic and has the graphics printed in the case not just put on top and that means that it can’t rub off. The scene shows a thick grey fog and in there you can see the nice blue Tardis standing strong and in front of the door there is Doctor Who to be more precise it is David Tennant as the 10th Doctor. So it does not matter if you have a nice new iPhone 5 or an old iPhone 3G this Doctor Who case will work perfect and of course as any good case this Doctor Who iPhone case will leave all the buttons and ports available for your use. Come and have a closer look at this Tardis And Doctor Who In The Mist iPhone Case. 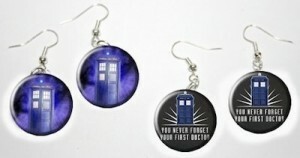 Did you always wanted some Doctor Who earrings? If so then you are in luck because now you can get this set of two pairs of Tardis earrings. Jewelry needs to be special and if you are a true fan of the Doctor then these earrings are special. The first set of earrings just show the Tardis in a cloud of smoke and he other pair has a black background and shows the Tardis and below that it says “You never forget your first Doctor”. The Doctor Who earrings have a diameter of 1 inch making them the perfect size to be there but are also not to much of a show off. If you want to surprise your special Doctor fan or just yourself then you have to see these Doctor Who Tardis Earrings. 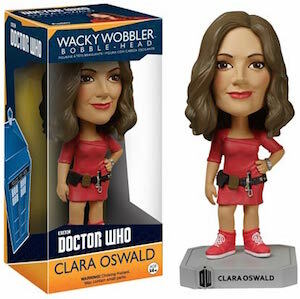 Do you want a piece of Doctor who to cuddle witH? If so then how about a Tardis pillow? This 13 x 21 inch lumbar pillow shows the top piece of our favorite police box the Tardis. On the front and the back of this Doctor Who pillow you can see the same print of the Tardis. The pillow has a hidden zipper so that you can take the cover of to wash it and of course to check if the Tardis is really bigger on the inside. 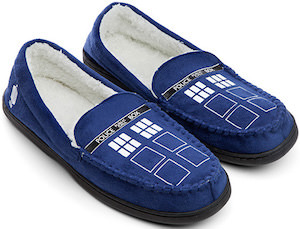 Just imagine how fun a Tardis pillow would look on your couch, chair or bed. Come and check out this fun Doctor Who Tardis Pillow. A Doctor Who fan knows that the Tardis is bigger on the inside and this t-shirt says “It’s smaller on the outside with the top of the Tardis above it. A fun t-shirt like this suppose to be in every Doctor Who collection. The t-shirt comes in a range of styles for men and women and in a wide selection of colors. And if the Doctor only allows you to wear organic cotton then no problem they even have a version of that. If you want to tell the world that you are bigger on inside like the Tardis then this smaller on the outside t-shirt will do. 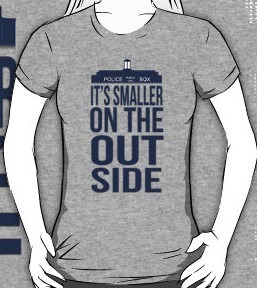 Come and get your own Tardis It’s Smaller On The Outside T-Shirt. 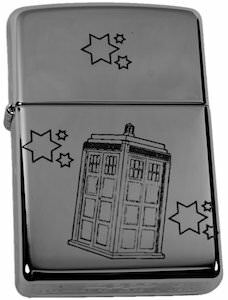 Doctor Who is known for his travels through space and time and as we know he does that in his trusted Tardis and now you can have a picture of the Tardis traveling through space on your desk. This is a Doctor Who mousepad complete with the Doctor Who logo and a picture of the galaxy and a flying Tardis. This quality mousepad will look so great on you desk and can replace any boring mousepad any day. 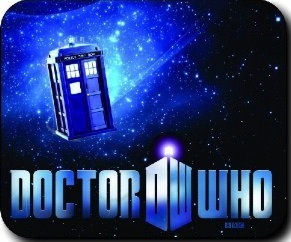 So if your desk need a mousepad then you need this Doctor Who Tardis Mousepad. It is a known fact that Doctor Who and Vincent van Gogh met in 1890 and now you can see the results of that. These leggings show a piece of art designed by van Gogh and it really means that now you can have Tardis leggings. 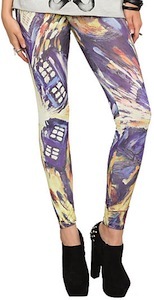 The Doctor Who leggings show the Tardis while traveling through space and time and that all in a oil painting style as we are expecting to see from the Dutch painter. These Tardis leggings are made from 100% polyester and come in a wide selection of adult sizes from Small – 3XL.